Want to Build Your Audience, Traffic, Brand, Profit and Trust? Do other people in your market gain more attention even though they have less to offer? Tired of being overworked and under appreciated? Are you ready to profit from your expertise, without burning yourself out? Got a book or information product inside you waiting to be unleashed? How would you like to grow your business by building a compelling brand, so good that people seek you out? The internet is full of business people struggling and striving to be noticed. People with knowledge, skills, expertise to share, but not gaining the recognition they deserve. Does this sound familiar? People start blogging for their businesses every day. They find their blogs flounder, the traffic does not come, they find it hard to generate business, they attract few comments and fewer subscribers. Get noticed and get the rewards. Using the right approach you can start a blog for your business today that will attract more leads, more profit, more opportunities, develop networking contacts, grow customer loyalty and much more. When you become an Authority Blogger you will build your influence. Want to know the secret to getting the respect you deserve? The fact that you are here implies you probably know the answer is to create an Authority Blog. The go-to web resource of your market, with the attention, value and credibility that makes people take notice. Are you ready to make more profit by helping more people? Blogging might sound like something only geeks can handle but with modern software and a little help at the beginning you will find it is as easy to publish your blog as sending an email or word processing. Even so, well managed blogs routinely outperform traditional websites costing thousands of dollars. PLUS if your business already has a website, you can ADD a blog to your existing site and multiply the benefits. With the Authority Blogger course you will discover how to transform your own Authority, step by step. By following the process you will grow an audience of engaged readers who really want to hear what you have to say. That’s not all – I will show you how you can simply create and market products and services your audience want to buy, and how you can get other people to help you sell even more. Imagine getting inside the mind of your prospect and delivering to them what they most want and need, so that they thank you for selling to them. “When I started international web marketing for my business in the beginning of 2008, I did not realize how much I would end up relying on social media to promote myself online. Luckily I found Chris Garrett’s Authority Blogger course just when I needed it. Although I initially chose the AB course solely to improve my blogging, it represents a turning point in my entire web presence. Two months after starting the AB course my email inbox exploded with key industry players who wanted to get into contact with me. I got much more out of taking the AB course than I expected. Not only did I take my blogging to the next level to become an authority blogger, but I now also have social media expertise, an ebook product for sale and a product launch underway. All the proven techniques you need to propel your blog from zero to hundreds of daily visitors, and if you already have an audience, get even more loyal readers! Blog Traffic and SEO – Everyone needs more traffic, not everyone knows how to get it! Rapid Information Product Creation – Want to package your expertise into a book? Create a training course? I show you how to do it right, and fast! There is a growing library modules, lessons and downloads in easy to follow step-by-step format waiting for you. “When I started out I had 84 email subscribers, no authority and a weak plan for how to meet my blogging goals. I first contacted Chris to conduct a blog evaluation. I had no expectations, other than Chris must be a pro. His feedback was so insightful, that I immediately signed up for the Authority Blogger course. I had already gotten value from his blog evaluation, so my perception was that I would get even more value by signing up for the course. 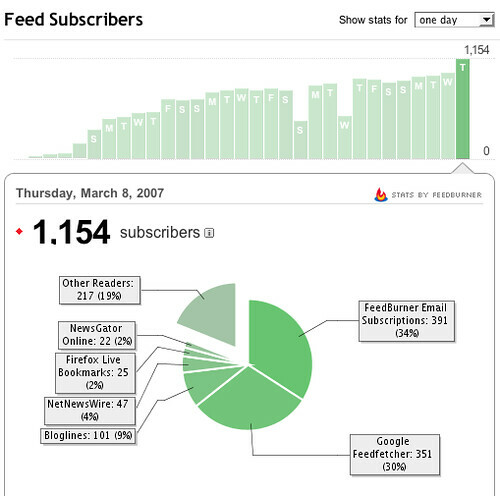 My goal at that time was to achieve 1,000 subscribers in 90 days. I received more value than expected. I have been able to boost my subscribers by more than 1,300 in 60 days. Because of AB (and this is no joke), I am a recognized authority on social media strategy for non-profits. Learn exactly how I managed to attract over a thousand subscribers in my first month of a brand-new blog and how you can too! Mastermind Calls with myself and your fellow members to get feedback, ideas, insights and support. Expert Blog Critique ($250 value) where I personally give you all the information you need to take your blog to the next level. and of course, ongoing advice, answers, encouragement and motivation to keep you on track towards your goal! Learn at your pace with my support all the way. After signing up you gain access to the downloads PLUS the customer-only member area where you can interact with the other Authority Bloggers and discuss the material. You will learn from both online lessons and personal, tailored feedback and encouragement. You enjoy “lifetime” access to this course. While the course is running, your login will work. So you can take your time and really get all the value out of the lessons and resources that you need to be a success. This modular program works in simple stages, allowing you to progress the way you want to, while allowing you to go back and replay or repeat anything to cement your understanding and progress. Therefore the results will directly correlate to how much time and energy you put in and you can calmly achieve your goals on your own terms. The course is perfect for people who like to get on with things at their own pace but also like to know there is expert support as and when you need it. You get my personal help all the way (via my personal email address, live classes or mastermind sessions, and of course the private member community), with everything from the technical stuff through to the course content. I am here to help you succeed. “I wanted to be a blogger. I wanted to be a big blogger – authority blogger (but I didn’t know what that meant at the time). I wanted all these things but I had NO idea on how to accomplish these goals. I was digging through all the different books, articles, sites. It felt like a going down a rabbit hole because the amount of information was unending. I was burying myself with information going in too many directions, spinning my wheels in the mud and knew I couldn’t continue that way. I just wanted a track to run on and a comfort level of throwing out all the other ideas. I read all the books I could find on the subject of blogging. They were helpful but they really didn’t offer a step-by-step process to launch my blog. I had to decide on a direction and just take it and forget all the other tugs at my sleeve. Chris had and has the credibility so I put myself in his hands. I was hopeful as soon as I pushed the BUY NOW button. It was even better than I thought. Chris demonstrated true concern and continues to do so. Now I don’t waste any time thinking about what to do – I just follow the track. When I have a question, I go to the forum. This is an enormous time saver for me. Since joining Authority Blogger my traffic grew by 3 times in 4 months. I connected with other great bloggers in my field. I am just about ready to launch my first product. AND keep all the downloads you received. Join the early-bird notification list to be given first opportunity next time the class opens so that you don’t miss out.